La 22 Edición del prestigioso Festival de Cine de Shanghai se llevará a cabo del 15 al 24 de junio de 2019. El Festival Internacional de Cine de Shanghái -SIFF- es el primer festival de cine de nivel internacional en China (1993), y se celebra cada junio en la ciudad de Shanghái. Es uno de los festivales de cine con mayor influencia y volumen de venta en Asia, y está organizado por el Buró de Administración Estatal de Radio, Cine y Televisión y el Gobierno Municipal de Shanghái, con apoyo del Grupo de Medios y Entretenimiento de Shanghái. En el 21º SIFF en 2018, se presentaron un total de 3447 películas de 108 países y regiones un salto significativo de casi 1,000 desde el año pasado que fueron 2528. Entre ellas, 492 grandes películas chinas y extranjeras fueron programadas y proyectadas en 45 cines en Shanghai durante el Festival. Cuenta también con proyectos como “The Belt and Road Show” y “SIFF World Express” para comunicarse y cooperar con otros festivales de cine mundiales e instituciones cinematográficas, creando una plataforma internacional para películas chinas y nuevos directores. Consiste en cuatro partes principales: competición de premios, proyección de películas internacionales, feria de venta de películas internacionales y foro internacional de cine. Las solicitudes de ingreso online comenzaron el 15 de noviembre de 2018. La presentación online para el “Golden Goblet Award”, el “Asian New Talent Award”, “International Film Panorama” está abierta en el sitio web oficial del Festival Internacional de Cine de Shanghai www.siff.com. La fecha límite para la presentación es el 31 de marzo de 2019. El Festival de Cine de Menorca, que se celebra anualmente en la Isla de Menorca, celebrará su cuarta edición en julio de 2019. El festival, que está creciendo y ganando influencia y audiencia año tras año, estará encantado de recibir y considerar vuestros cortometrajes más recientes para considerar su inclusión en nuestra sección competitiva Internacional: Illes en Curt. · Cortos de una duración máxima de 20 minutos y producidos entre el 2017 y el 2019. 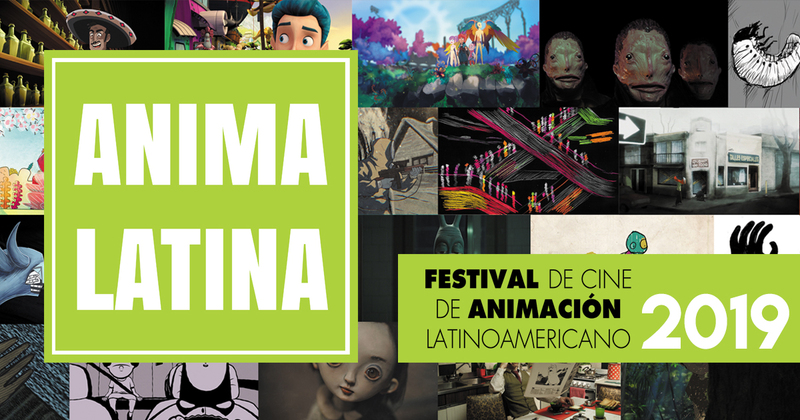 · Pueden participar cortos de ficción, documental o animación. · Los cortos inscritos deberán de incluir subtítulos incrustados en castellano en caso de ser rodados en otros idiomas. La inscripción de cortometrajes en la sección internacional, Illes en Curt, tiene un coste simbólico de 5 USD. Sin embargo, siendo el INCAA una entidad internacional dedicada a la promoción y difusión de largometrajes y cortometrajes argentinos, nos complace ofrecer a sus contactos, suscriptores, compañías de producción y distribución asociadas, un 100% de descuento para enviar sus cortometrajes, válido desde hoy y hasta el 1 de enero de 2019! El Festival Internacional de Cine en Guadalajara continúa recibiendo registros para los programas formativos y de industria que se llevarán a cabo dentro del marco de FICG34 del 08 al 15 de Marzo del 2019. DocuLab es un programa de industria, que tiene como objetivo el impulso a directores de cine documental y sus proyectos que se encuentren en etapa avanzada de edición y requieran asesoría analítica conceptual o apoyo para la finalización de los procesos de postproducción o distribución. Talents Guadalajara es un encuentro intensivo entre cineastas provenientes de México, Centroamérica y el Caribe en el marco del Festival Internacional de Cine en Guadalajara y con la colaboración del Berlinale Film Festival, enfocado a la creación de vínculos profesionales y creativos mediante talleres especializados, asesorías y conferencias. 15º Encuentro de Coproducción / Co-production Meetings tiene como objetivo principal de propiciar el contacto directo entre proyectos cinematográficos en desarrollo de Iberoamérica con profesionales de la industria audiovisual, fondos de financiamiento, productores, compradores y vendedores internacionales. 30 proyectos se rán seleccionados a participar en esta sección. Guadalajara Construye 13/ Works in progress es un programa que busca contribuir a la conclusión de largometrajes de ficción iberoamericano en etapa de postproducción. Siete películas de ficción en estado provisional y en búsqueda de financiamiento para su finalización serán seleccionadas y presentadas a profesionales. For the 14th edition of the Mobile Film Festival, we are happy to announce our partnership with YouTube Creators for Change, the Office of the United Nations High Commissioner for human rights and the European Union, as part of the celebrations of the 70th anniversary of the Universal Declaration of Human Rights​, which will be taking place in Paris in december 2018. For this exceptional edition, the Mobile Film Festival is back with the rules that made it famous: 1 Mobile, 1 Minute, 1 Film, but now imposing a theme to filmmakers: #StandUp 4HumanRights​, the slogan and official hashtag of the campaign celebrating the 70th anniversary of the Universal Declaration of Human Rights. For 14 years, the Mobile Film Festival has been defending the values of equality and discovery​, excluding economic obstacles thanks to the use of the mobile as well as the free inscription to participate to the festival, while adding value to the filmmakers’ ​creativity​, who have one minute maximum to tell a story. A festival which is 100% digital​, that is the DNA of the Mobile Film Festival since its creation, but its very short and creative format allows a diffusion on all kinds of screens​: mobile, tablet, computer, TV and cinema. During the last edition, the Mobile Film Festival received more than ​1000 films from 88 countries ​and reached ​17 million viewers. The aim of the Mobile Film Festival is to reveal and support tomorrow’s talents by helping them to become more professional​. By giving the floor to filmmakers from all geographic and cultural backgrounds, the festival presents a variety of strong and committed films​. That is the perspective in which are implemented our partnerships with YouTube Creators for Change, the Office of the United Nations High Commissioner for human rights and the European Union. 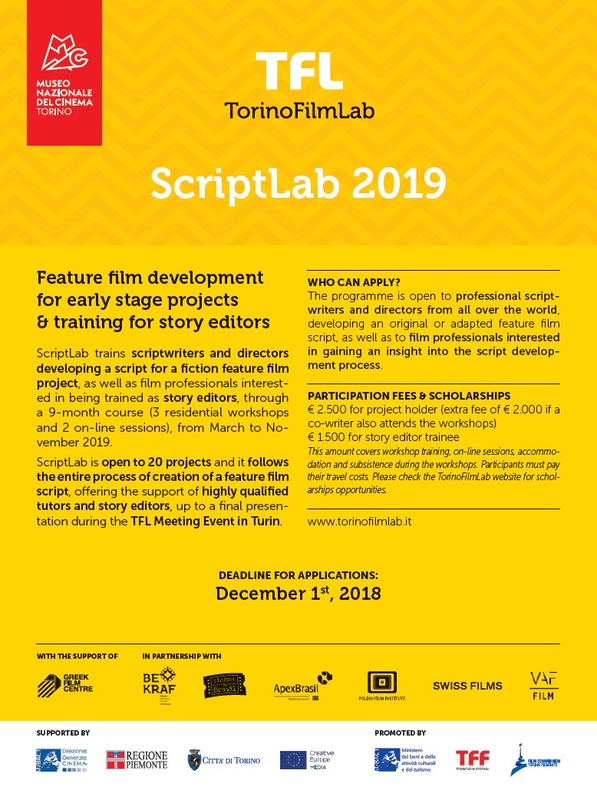 The three 20 000€ grants will allow the winning film directors to make a short film in a year with professional means and the help of a producer. The CNC will offer 2 grants of screenwriting assistance of 3 000€ each, which will allow the winners to enter writing residences. This special edition of the Mobile Film Festival also benefits from the support of major Human Rights NGOs and international associations such as the National Consultative Commission on Human Rights (French NHRI), the Human Rights League, the European Association for the defence of Human Rights (AEDH), the International Federation for Human Rights (FIDH), Human Rights Watch France, CARE, Witness, the Arabic Network for Human Rights Information (ANHRI), the Egyptian Initiative for Personal Rights (EIPR), The Elders, CIVICUS, etc… as well as the Institut Français. Submissions to the 50th edition of Visions du Réel, Festival international de cinéma Nyon (5–13 April 2019) are now open. We are looking for creative documentaries to be presented as world, international or European premieres. Entries must be submitted using the online entry form. You will find our Regulations here. If you have a new film project, do not hesitate to apply to our Industry activities. The Festival’s Industry is a great meeting point for international film professionals such as filmmakers, producers, distributors, TV representatives, institutions and festivals. Pitching du Réel: We welcome projects by experienced as well as new directors, who have at least directed short films. The project should already be well developed and have basic financing in place. Docs in Progress: We are looking for film teams with a fine cut of their project searching for postproduction partners and support, as well as distribution opportunities. 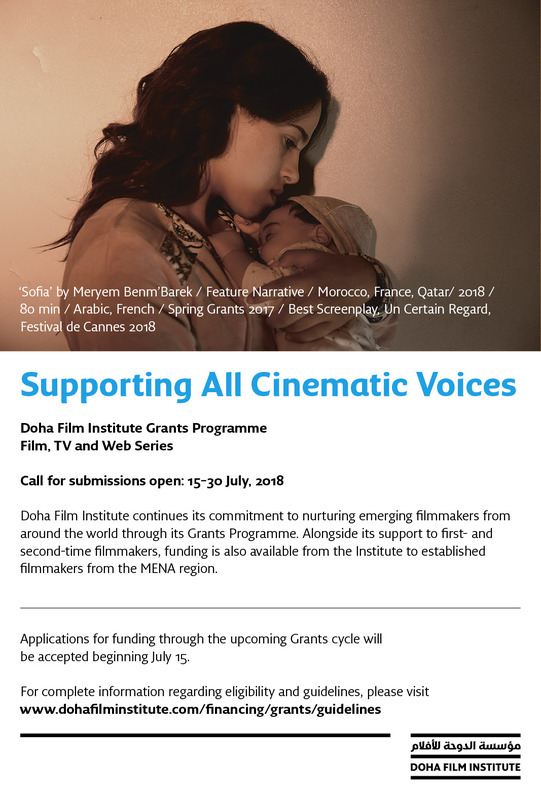 The first deadline will lead to the selection of a first group of projects. We encourage you to apply as soon as you are ready in order to have more chance of a selection. Until October 10, experienced producers from around the world may submit new feature-length film projects in need of co-producers and financiers to the 16th Berlinale Co-Production Market (February 9 – 13, 2019). The project budget should be between one and 20 Million euros and at least 30% of the financing or local production support should already be in place. 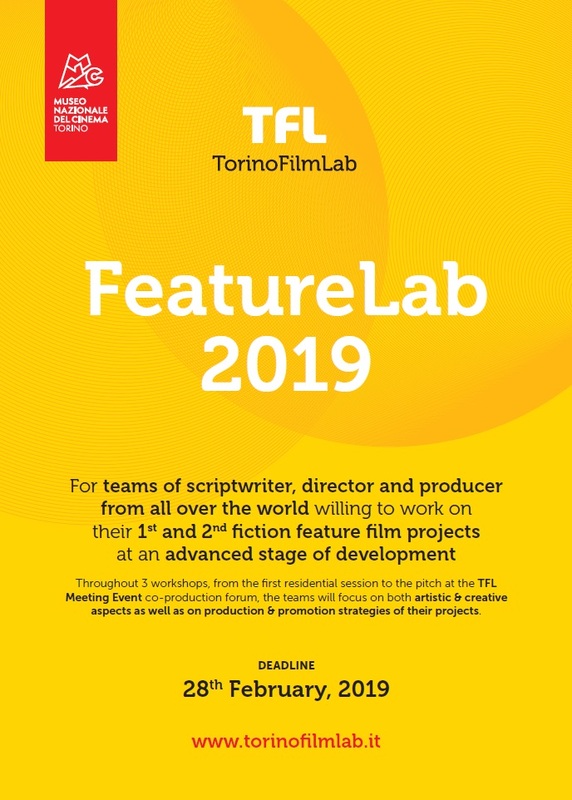 Producers with drama series projects from around the world seeking international co-production partners in Berlin are invited to submit those projects for participation in the much sought-after “Co-Pro Series” event by October 22. In addition to the series pitch, the Berlinale Co-Production Market team also organises meetings with potential partners for their producers as part of “Co-Pro Series”. The event is part of the “Drama Series Days” programme, a cooperative initiative by the European Film Market, Berlinale Co-Production Market and Berlinale Talents. Projects introduced at “Co-Pro Series” in past years include the successful German series Babylon Berlin by Tom Tykwer, Achim von Borries and Henk Handloegten. The Berlinale Co-Production Market is part of the European Film Market. Its main partners are the MDM – Mitteldeutsche Medienförderung (since 2004) and Creative Europe – MEDIA, a programme of the European Union (since 2005).